Why is Bojan Brbora Merging Film and Gaming? 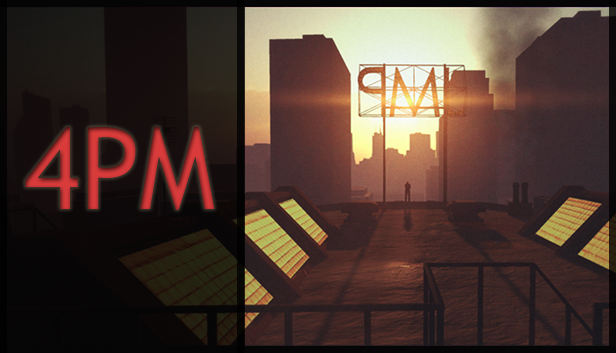 At the end of July I reviewed 4PM, a game that you might say takes games a little too far. Receiving mixed reviews, this game boldly stares down such topics as alcoholism, adultery, drunk driving and suicide. While I can say that topics with this gravity don’t typically feature in games, it is a trend that is on the rise. Today Bojan Brbora, the serbian cinematographer behind 4PM, discusses his motivations with me and sheds a little light on what is driving this dramatic explosion of artistic games. Cinematography used to be my full time job up until two and a half years ago, when I came to the UK from Serbia and earned an MA in Game Design at the National Film & Television School. This is where I made 4PM, as well. I worked full time in the Film industry back home for about 8 years before deciding to take a break and learn this new medium. Currently I try to split my work 50/50 between Film/TV and Game Design, and I am quite keen on continuing to work in both areas. The projects that I mainly seem to work on are drama related, which is probably why 4PM is in the same category. So Bojan has years in the Serbian film industry, but what would make someone take the step into gaming directly from film? Around three years ago during slow periods, I was playing things like Mass Effect and Deus Ex and realised how much I had grown attached to the characters, especially after making choices and changing their path in the story. I really felt like I was participating in the narrative, and being responsible for what happened on the screen; something which you rarely get in other media. I thought this was really interesting. What if one applied the same thing, but created a more contemporary and contextually relevant narrative? Since this isn’t commonly done, I decided to give it a go and signed up for the course here in the UK. 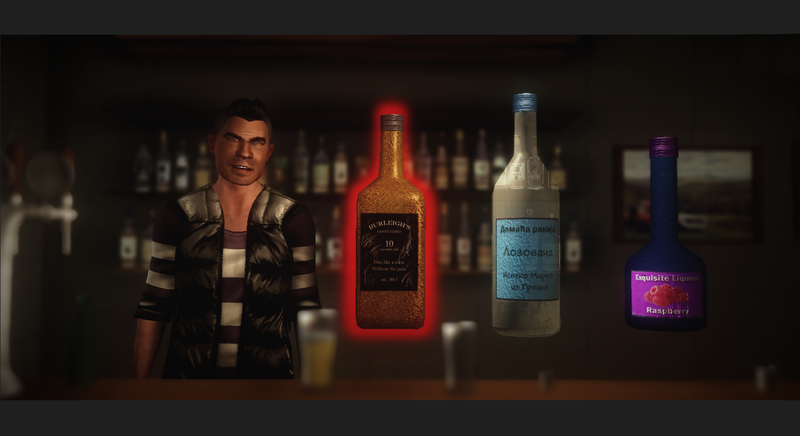 (beware of spoilers) In 4PM you play as a reckless alcoholic named Caroline, who is grieving over the loss of her father. Granted, she is personally responsible for his death due to her inebriation at the time of the car crash. After another rough day at her soul-sucking deskjob, Caroline decides to sneak down to the bar for a drink. On her way, she runs into a man who throws her a listless glance and continues past her to the roof. You then get to decide to follow or go to the bar. Following him you can learn the truth about yourself and save him. Going to the bar gives you a front row seat to his suicide, as he lands on a taxi parked in front of the bar. Atop the roof Caroline learns that recently she has been having an affair with a married man – the jumper on the roof – whose wife is leaving him. Despite Caroline failing to remember any of this, she does have moments of recollection where the past comes trickling in to haunt her. On that rooftop she faces down herself, the truth of what she has become and where she wants her future to lead. Given the gravity involved, I wondered at the inspiration behind the narrative Bojan concocted to accomplish the task he set out for himself. His answer sounded like the beginning of numerous indie films. 4PM started out as a situation, a meeting of two strangers on a rooftop at sunset with some sort of mystery element bringing them together. Extra tension was provided by having one character on the ledge, ready to jump. It was a very simple setup, from which I wanted to expand and see who these characters are, and why they are really there. So why create a game that is more a dramatic narrative than an actual game? I think the reason why I made more of an interactive story than a game is because I really wanted to expand what the medium can do and try to attract people who are not gamers; hence the removal of most classic game elements and introduction of film language, which is more recognizable and an easier transition for most people. Bringing non-gamers into a game like this is a challenging task. Interactive media are the only ones in which you take part in a story, driving its significance deeper into the player. Each action taken in-game is part of a developing story, which makes the internalizing of story elements that much easier via Suspension of Disbelief. Such internalization is made even easier by games since the player doesn’t just see it happening to people on the screen, they experience it happening through their decisions as they play out via the avatar of their own conscience: the primary character of the story. Of course, if the end result doesn’t accurately detail what the player might be working toward, the story could be rejected outright. So, what this cinematographer proposes is an immeasurably more difficult task than what film sets out to do: film shows you a story and ask you to think, such games challenge you to live a story and see where your decisions lead it. This process is profoundly more difficult since the interaction between game and player is exceedingly more intimate than that between film and viewer, and the interaction itself largely occurs in the mind of the player. So this becomes a natural obstacle for the creation of such narrative games, making the player navigate events and emotions that they might altogether avoid themselves. But as movies challenge viewers to place themselves into a character and understand the context of their lives, so, too, does 4PM. You wake up in bed as Caroline, and her life and decisions become post-it notes and empty bottles on the floor. Her life becomes yours for a short time and learning who she is becomes a large part of the curiosity of 4PM. Then, by making decisions that control Caroline, you adopt her as the chosen form to explore the story. And it is a tragic story. So why make a game that is this tragic? Is there a greater message here? Through developing the details of the story with my writer, Stefan Kaday, something kept pulling us down this very dark path and outside of just typical thriller material. We stumbled onto some very real and difficult themes, but in my view, this could only be a good thing as it felt like something novel; a place where few games want to go. It is a difficult thing to research, as nobody really likes talking about things like alcoholism, guilt, suicide and compulsion, so most of the conversations with people that had gone through them had to be indirect and were quite often emotionally draining. I don’t believe 4PM has a direct message, it is more an exploration of how complex human relationships are and that a lot of us suffer every day, but we rarely face or talk about this due to some ridiculous social stigma. So the nature of the game itself is its topic: exploration of these themes rather than a judgment on them. The player decides the path that Caroline takes, and decides what they see. Therefore, it is ultimately the player that dictates the message conveyed by the narrative. For this reason, 4PM was victorious in its task. Games like this are not uncommon, though, and have recently been cropping up everywhere: Depression Quest, Papers, Please and Brothers: A Tale of Two Sons. Bojan was happy to provide his thoughts on the rise of the dramatic narrative in games. It is a sign of the medium finally growing up and having a big niche in serious, adult themes. This is a good sign, and I hope developers continue to do more projects relating to real world issues, though there is still quite a bit of work to do in making these experiences more subtle and entertaining to a wider audience. This is only a matter of time though, and I am sure the next few years will bring some ground-breaking work. And that is solid logic. People seem to be buying these games, so it would follow that more of these games are forthcoming. Can we expect more of these games from Bojan Brbora? I am currently doing some work for other people to survive in the UK. I also needed to take a break from being in charge of absolutely everything on a project, as it left me psychologically drained. I am developing a few ideas and prototypes, though, and VR seems to be quite an interesting new platform, one currently worth exploring. I’m also working on some film ideas. Games, of course, take a team of developers given the enormity of their content. Who were the people on 4PM’s team? While this was essentially a one-man student project, I did work with a few people from the film courses to make the project really unique. Stefan, whom I already mentioned, fleshed out the story and plot, wrote the dialogue and served as an excellent fresh pair of eyes and counterweight to my crazy ideas. Neo Peterson was instrumental in filling out the world with sound and audio atmosphere. Terence Dunn was the main music composer, and did an amazing job putting together the orchestral and some electronic pieces. I am also very thankful to the guys from “Kazoo”and “et_” for letting me use their music as it plays a huge part in making 4PM what it is. These are all extremely talented and kind people, and I look forward to working with them again in the very near future. What was you favorite part of developing this game? My favorite part of creating this game was working with other creative people, bouncing ideas off them and learning these complex, new tools to make the project happen. It also brought me to a new country, where I met so many new, talented people and expanded my horizons. Games like this really have the potential to make games something more, and help us explore our world in ways we never expected. Although some dissenters fail to visualize the potential of such experiences, games are moving into the realm of true art, a modern art that is just as powerful and relevant as any film today. Bojan had some final thoughts to leave readers with regarding this. I would like to urge people to support projects like these, both socially and financially, as it is the only way to move the industry forward and avoid stagnation. They are currently experimental, and rough around the edges, but the end goal is something spectacular, so we really need your support. Hopefully we can develop these games into something spectacular. 4PM is available now on Steam for 4.99$. Thank you for reading. Please note that material has been lightly edited for flow and coherence. This entry was posted in Gaming Art, Indie Games, Interviews, PC Gaming, Steam Games, Superior Gaming and tagged Art, Bojan Brbora, exploration, Indie Developers, indie games, Interview, pc gaming, Steam games, story-driven, Superior, Videogames. Bookmark the permalink.